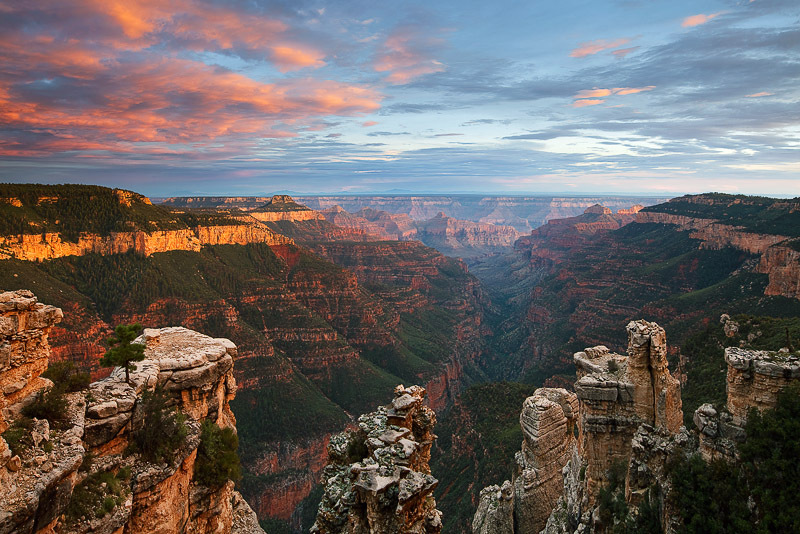 Rock chimneys and platforms grace Robber's Roost, a remote canyon vista on the North Rim. This view is from a side canyon looking out to the main portion of the Grand Canyon. This image was captured at sunset during a clearing storm. The amount of green located in this area made an impression upon me in stark contrast to the bone dry conditions of main portions of the canyon. The elevation of this view point is nearly 8,000 feet. Photo © copyright by Michael Greene.